What kinda clothes do you like? It’s getting pretty hot lately, and Summer seems just around the corner. Of course, with a change in season comes a change in clothing. Summer is the time for short sleeves and shorts! as well as those for special occasions, with some talk about sizes for good measure! but thinking about it a little more a number of differences come to light! 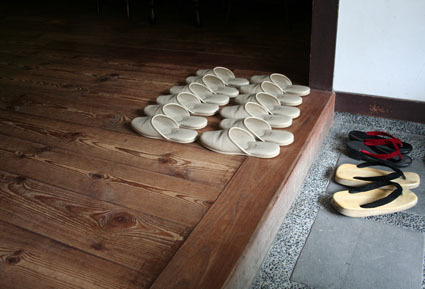 The first thing that comes to mind is the tradition of wearing slippers inside houses in Japan. In the States, you’ll have people go barefoot or socks-only in the house, and some people even just keep their shoes on. The idea of going into a house with your outdoor shoes still on is pretty unthinkable in Japan! アメリカではこんなの見たこと無い！ / You’ll pretty much never see something like this in America. Another thing it that it’s somewhat rare to see girls in T-shirts and jeans in Japan. It’s pretty common in America, and though it’s not a 0% thing in Japan, it’s not something run into all that often. On the other hand, kids in their school uniform are likely to cross your path on a daily basis. America does have some private schools with uniforms, but you don’t see kids wearing them outside of school much at all. The most well-known special clothing from Japan is very likely the kimono. and it’s probably one of the first things many people think of as typically “Japanese”. But on top of that, there are other special garments too, like the happi and the hachimaki. It seems that they all really do have a very strong aura of Japanese culture associated with them. 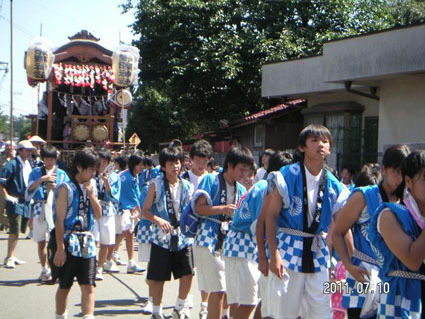 お祭りではよく法被を来ている人がいますよね。 / It’s common to see many people wearing happi at various festivals. In terms of America’s clothing for special occasions, the quite extravagant wedding dresses are one good example. Along with that, things like Hollywood award ceremonies and the like often have some crazy dresses too. 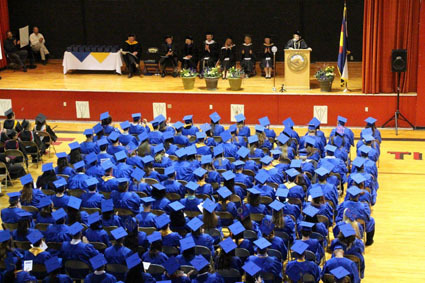 Graduation gowns for high school and college are quite a traditional form of special clothing. You have the well-known graduation cap as well, and sometimes they’re made to match the school’s colors. It seems like lately decorating the top of the graduation cap has gotten pretty popular! アメリカにおいては皆が同じ服を来ていることが珍しいです。 / It’s not often that you see everyone wearing the exact same thing. The first time I went clothes shopping in Japan, I didn’t understand the jeans sizes at all. Obviously though, while America uses inches for sizing, most other countries use centimeters instead. 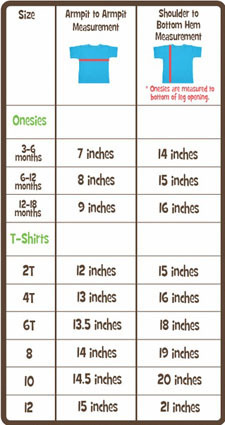 but in Japan the sizing for children’s shirts is based on height, ranging from 100-160. In America, the most common sizing for children’s shirts is based on their age instead. アメリカの子供用Tシャツサイズはこんな感じ。 / American kid’s T-shirt sizes go something like this. Furthermore, for one reason or another, America has a pretty large upper range of sizes. XL and XXL aren’t strange at all, and 4 or 5XL are also things that exist. One interesting thing is that in Japan “LL” is often used instead of “XL” - but sometimes not, go figures. 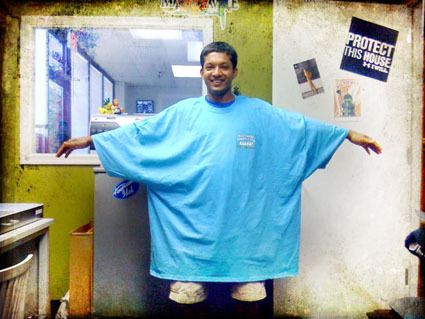 でっかいTシャツ。 / That’s a huge shirt. This time for the blog I reuploaded a mix I did a few years back consisting solely of remixes of Motteke! Sailor Fuku. You might get tired of the song pretty fast, but listen to as much as you can! Summer’s coming up fast, so I better buy some shorts soon! I just hope I can find some in my size, haha.